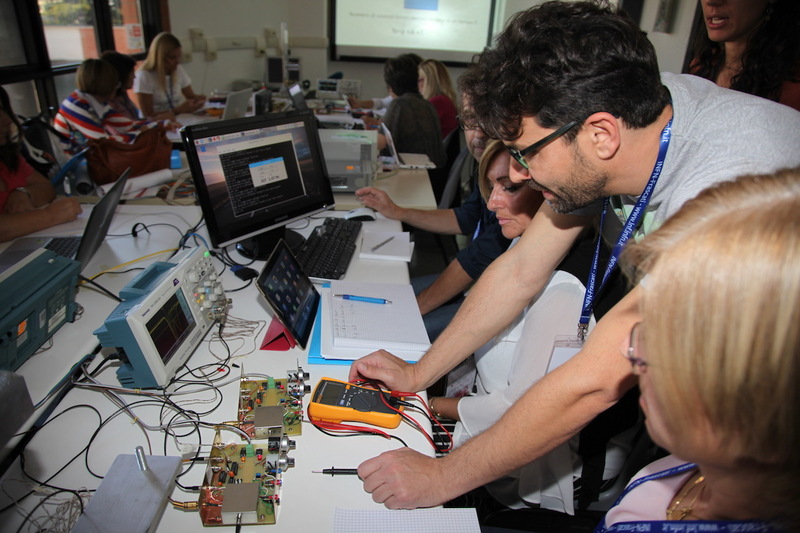 It will be held on 10–12 October the 18th edition of Incontri di Fisica 2018, an educational and training course in Modern Physics for high school teachers from all over Italy organized by the INFN Frascati National Laboratories. – IDF classroom course presso i LNF. The IDF 2.0 course will be held in blended modality in collaboration with the G. Marconi University. The classroom course, common to both the training programs, will be held at LNF. On these three days nearly 200 participating teachers will be in close contact with researchers, technologists and technicians of the INFN Frascati National Laboratories. A waiting list is open for teachers who did not apply within the time limit of last 30th of June. Application procedures, info and full program of the courses are available on the website.